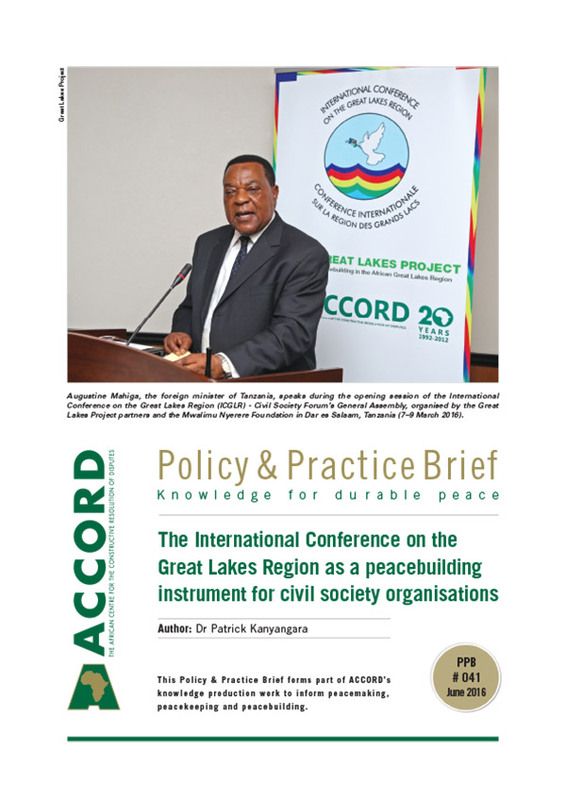 This policy paper examines the prospective role of civil society organisations (CSOs) within the mechanisms and structures of the International Conference on the Great Lakes Region (ICGLR), which was created to address conflict challenges faced by states within the Great Lakes region.1 The ICGLR was established in 2003 to provide an inclusive platform for countries within the region to work effectively with international actors and CSOs for regional conflict prevention, management and resolution. Although the role of CSOs within the ICGLR initiatives is considered imperative to securing sustainable peace, there remain concerns that the involvement of CSOs is constrained. Through desk research and field surveys, this policy paper explores creative approaches for CSOs to make a valuable impact on the ICGLR initiative. 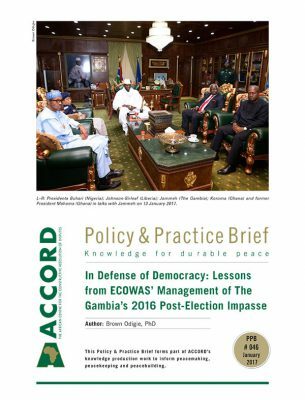 The paper recommends improved and proactive synergy between the ICGLR and CSOs for effective peace and security in the region. 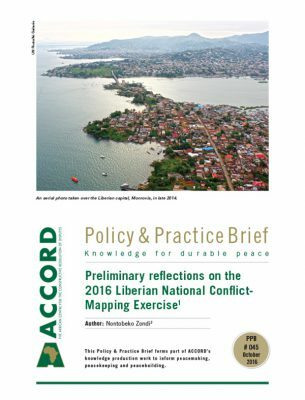 The Great Lakes region is currently home to at least four conflict situations – in Burundi, Central African Republic, eastern Democratic Republic of the Congo (DRC) and South Sudan. In addition, the region is recovering from varied scales of civil unrest in Angola, Kenya, Republic of Congo, Rwanda, Sudan and Uganda. 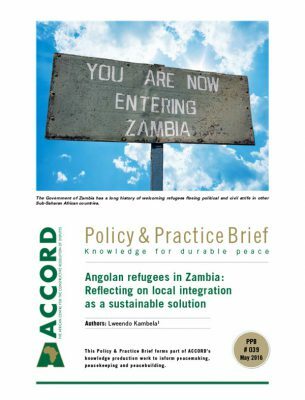 Although no longer in conflict, the latter countries have been experiencing ‘negative peace’, with early warning signs of relapse, while the only two stable countries in the region (Tanzania and Zambia) have to bear the burden of forced migrations from neighbouring states. 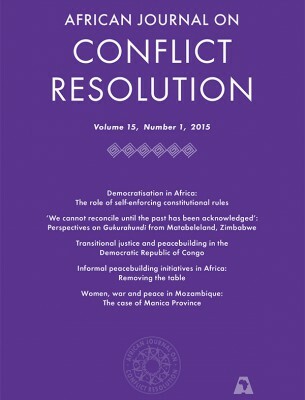 Inter alia, the conflicts in the region have been linked to lack of good governance and democracy, economic mismanagement and long-running ethnic and political tensions, coupled with weak institutions and mechanisms for the peaceful resolution of disputes.2 However, the complexity and dynamism of the local, national and regional dimensions of conflicts in the Great Lakes region continue to defy the analysis and interventions of individual states and intergovernmental organisations such as the United Nations (UN) and African Union (AU). 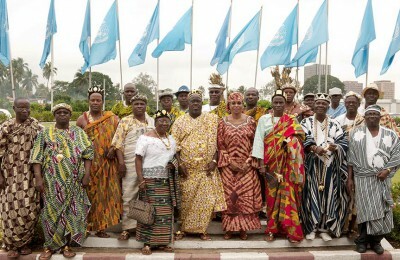 In 2003, the International Conference on the Great Lakes Region (ICGLR) was created by the 113 states in the Great Lakes region, in collaboration with the UN and AU, to explore and implement creative and collective approaches for the prevention, management and resolution of disputes in the region. The ICGLR provides a platform to harness and coordinate the interventions of different stakeholders and role-players, given the limited efforts of individual states and intergovernmental interveners.4 One of the ICGLR’s remarkable strategies to ensure sustainable peace in the region is to involve citizens and actors at a grassroots level, through close cooperation with civil society organisations (CSOs). While this approach provides the opportunity for local ownership and an inclusive solution to conflicts in the region, the role of CSOs within the ICGLR initiative remains constrained. Moreover, only a few CSOs are fully apprised about the purpose of the ICGLR and how civil society could participate in ICGLR interventions. To address this challenge, in 2012 a number of CSOs established the Great Lakes Project (GLP)5 to improve the engagement of CSOs in peace and security processes at national and regional level. The GLP aims to reinforce the work of the ICGLR by fostering and strengthening its ‘use’ by, and usefulness to, civil society. In this process, the GLP has engaged with CSOs across the region and has worked closely with the ICGLR Regional Civil Society Forum (RCSF), as well as various ICGLR structures. Following the substantive collaborative engagements between the GLP and the ICGLR, it becomes imperative to assess the extent to which CSOs participation within the ICGLR’s initiatives has improved. A literature overview was conducted, focusing on uncovering information on the regional dynamics of conflicts, the structure of the ICGLR, and existing CSOs in the Great Lakes region. Field research, using semi-structured interviews and focus group discussions, was done. Data was collected in Burundi, the DRC, Rwanda and Uganda, and 48 participants from 10 CSOs working on issues of conflict prevention and peacebuilding took part in the data collection process. 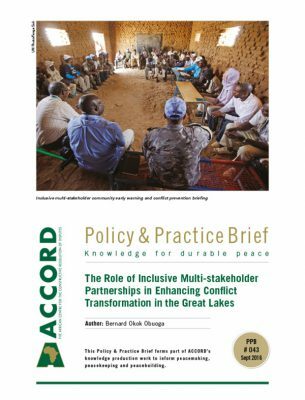 Information collected in the field was analysed to investigate how CSOs relate to the ICGLR – specifically to highlight CSOs’ level of use of ICGLR mechanisms and instruments to prevent conflicts and consolidate peace in the Great Lakes region. The idea of the ICGLR was born in the mid-1990s as a result of shared concern about the endemic conflicts and persistent insecurity in the Great Lakes region, particularly with regard to the challenges posed by the DRC conflict. The ICGLR was eventually established in 2003 by the UN, in collaboration with the AU, with the aim of formulating a regional approach to resolving the conflicts and instabilities that characterise the countries in the region. 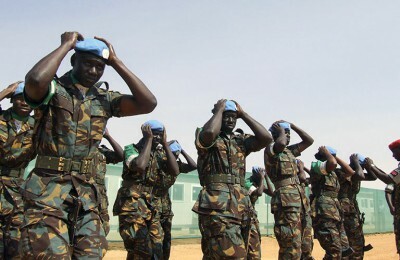 The ICGLR includes 12 member states, and out of these, eight have experienced – or are still experiencing – internal armed conflicts with international repercussions.6 The objective of the ICGLR is to ‘initiate a process within which the leaders of the countries of the Great Lakes region will try to come to a common agreement on a number of principles – good neighbourly relations, stability, peace, development and will specify and implement a number of action programmes with a view to ending the cycle of conflict and leading the region towards lasting peace, stability, security, democracy and development’.7 Since the creation of the ICGLR, several key developments have been brought about – notably the signing and ratification of the Dar-es-Salaam Declaration on Peace, Security, Democracy and Development in the Great Lakes Region (‘the Declaration of Dar-es-Salaam’) (2004); the Pact on Security, Stability and Development for the Great Lakes Region (‘the Nairobi Pact’) (2006); the Pact on Peace, Stability and Development (2008) and the Peace, Security and Cooperation Framework for the Democratic Republic of the Congo and the Region (the Addis Ababa ‘Framework of Hope’) (2013), which are discussed below. 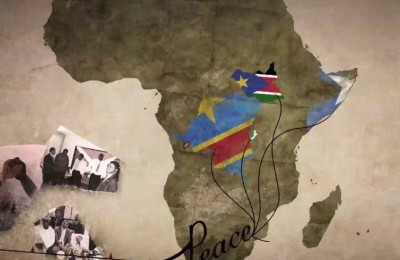 Recognising the recurring cycles of conflict and violence that permeate the eastern DRC, 11 countries signed the Peace, Security and Cooperation Framework for the DRC and the Region (known as the Framework of Hope) on 24 February 2013. This agreement represents an avenue of hope for the people of the region to build stability by addressing the root causes of conflict and by fostering trust between neighbours.11 The DRC government, in particular, committed itself to (1) deepen security sector reform; (2) consolidate state authority, particularly in the eastern DRC; (3) make progress in decentralisation; (4) further economic development; (5) further the structural reform of public institutions; and (6) further reconciliation. 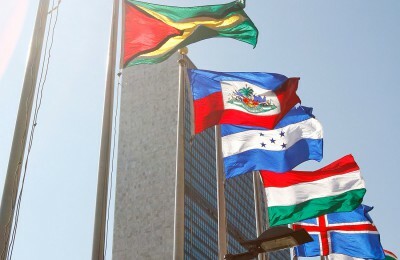 The rest of the ICGLR member states pledged to (1) respect the sovereignty of neighbouring countries in terms of international affairs and territorial integrity; (2) neither tolerate nor provide assistance to armed groups; (3) strengthen regional cooperation, including economic integration and judicial cooperation, and (4) neither harbour nor provide protection to any person accused of war crimes or crimes against humanity. 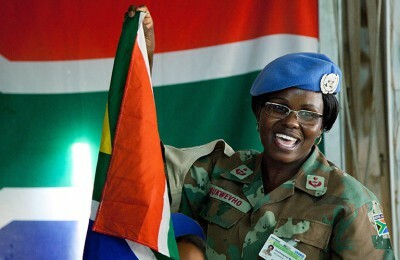 The international community committed to (1) remain engaged in seeking long-term stability for the DRC; (2) a renewed commitment of bilateral partners to remain engaged with the region; (3) support economic integration and revitalise the Economic Community of the Great Lakes Countries; (4) review the United Nations Organisation Mission in the Democratic Republic of the Congo (MONUSCO); and (5) appoint a UN special envoy to foster durable solutions. The abovementioned pacts and framework have led to some progress, especially in the monitoring of security at shared borders and disarming some negative forces operating in the DRC, resulting in the improvement of security in some areas. The states in the Great Lakes region have also maintained regular and close cooperation to address the regional challenges. However, ongoing and worsening tensions and conflicts within the region point to the limited impact of the ICGLR initiatives. One of the ICGLR’s limitations is that its member states have not shown enough commitment or willingness to put the Dar-es-Salaam, Nairobi and Addis Ababa agreements into action and to implement the wishes, ambitions and objectives that were formulated. This reflects the widening gap between decision-making processes and the reality on the ground. One of the major obstacles to implementing ICGLR initiatives is financial constraints. The ICGLR relies on the financial contribution of member states and partners to effect its programmes and projects. Although the member states have demonstrated fair payment behaviour, their contribution is not enough to fund all the projects and carry out all the planned activities. Discouragingly, external funding has been decreasing for the past six years. 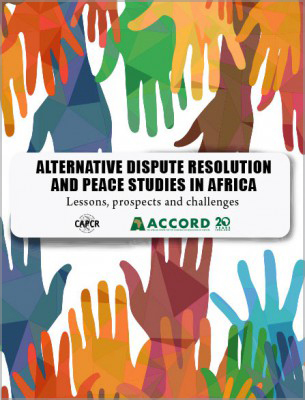 At the same time, new and persistent conflicts – such as those in South Sudan, Central African Republic, the DRC and Burundi – continue to characterise the region. 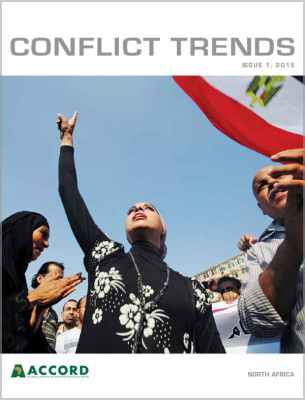 These conflicts undermine the region’s capacity for conflict management and resolution. Furthermore, despite the emphasis on partnering with CSOs in ICGLR’s key documents and action plans, the ICGLR’s limitations and failures reflect the weak and uncoordinated participation of civil society. Since 2012, the GLP has contributed to encouraging closer connections between the ICGLR and CSOs operating in countries in the region. For many CSOs, the objectives and provisions of the ICGLR have been the point of reference in their activities to prevent and manage conflict and promote lasting and sustainable peace. The civil society community in the Great Lakes region is a diverse group categorised in three major areas: (1) ’cause-oriented’ CSOs that champion values such as human rights, freedom and other interest areas; (2) CSOs representing minority groups in societies; and (3) CSOs that specialise in conflict prevention, crisis management and peacebuilding.12 In the Great Lakes region, the conditions in which CSOs work are also unique. Some CSOs are well established with large institutions and have an international outlook, while others are small and based on the enthusiasm of a few people (or just one individual). The diversity and numbers of CSOs in the member states has made it difficult for the ICGLR to collaborate effectively with them. 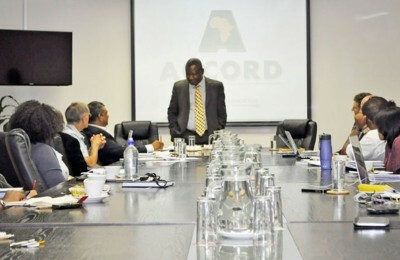 To accommodate the variety of CSOs in the region, on 7 July 2011 the ICGLR created the Regional Civil Society Forum, in accord with the Nairobi Pact, to facilitate the exchange and coordination of inputs from CSOs. The legal instruments of the ICGLR recognise the central role of civil society in contributing to transforming the Great Lakes region from a zone characterised by instability to a space of stability and prosperity. Although these instruments acknowledge the important role of civil society, there are glaring challenges regarding the conditions necessary for their effective engagement. These include lack of a framework for consultation, coordination, dialogue and exchange of experience between CSOs and the ICGLR. Based on interviews and focused group discussions, the overall view emerging from CSOs at the national and regional level was that their collaboration and cooperation with the ICGLR have been insufficient. It was highlighted that major decisions are taken at the governmental level, with limited consultation and partnership with CSOs that play key roles on the ground. 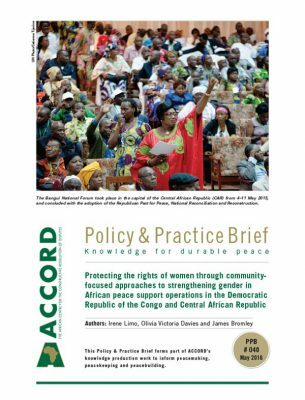 It is argued that the intractability and resurgences of conflict in the Great Lakes region points to the failure of ICGLR policies to make an impact on people at grassroots level, and the failure to mobilise ordinary citizens to demand peace and stability from so-called representatives. Several CSOs argued that while ICGLR actors engage leaders at a high level, the active engagement of CSOs within the ICGLR initiative is critical to achieving the results that currently elude the ICGLR, because CSOs could mobilise people at the grassroots to champion peace initiatives. As such, CSOs would provide credibility to the ICGLR negotiations at the elite level, and the ICGLR would provide legitimacy and support to the interventions of CSOs. Such cooperation between state and non-state actors could contribute to holistic and sustainable solutions to disputes in conflict areas, impacting at both the elite level and at the grassroots level. Some CSOs are of the view that improvements are necessary in terms of the cooperation between the ICGLR and CSOs. A number of CSOs are arguing for the formalisation of a link between the ICGLR and CSOs, based on common programmes and areas of intervention. For them, the ICGLR should bring more CSOs on board as active implementing partners of the ICGLR pacts and frameworks. is includes putting in place a regular mechanism to review and assess their collaboration and complementarity towards peace, stability and development in the Great Lakes region. They also argue that the ICGLR, as an intergovernmental organisation, should actively participate in ensuring conducive social and political environments to CSOs work and that relationships with governments at national level are good. The confidence and trust between CSOs and national governments could impact positively on the contribution of CSOs towards the achievement of the ICGLR’s quest for sustainable peace and development in the Great Lakes region. To effect such collaboration, it was suggested that the ICGLR should identify and officially recognise some CSOs or their umbrella bodies, and sign a memorandum of understanding that defines the nature of their contact, the collaboration and the expected results from all parties. It was also proposed that the ICGLR should establish a small committee at the ICGLR Secretariat to deal with CSO matters. 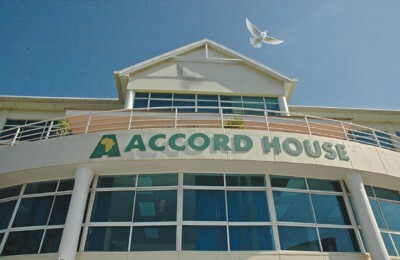 Although there is a fora and observatory office established by the ICGLR in Lusaka, Zambia, with a clear assignment to work with CSOs and coordinate their inputs toward the achievement of ICGLR objectives, CSOs interviewed maintain that it would be more beneficial to have a formal focal point officer or CSO staff secondment at the ICGLR Secretariat in Bujumbura, Burundi. The focal point officer could then maintain collaboration and cooperation between CSOs and the ICGLR at Secretariat level and establish a common agenda for peace, stability and development in the Great Lakes region. Furthermore, it was suggested that for CSOs to fully and independently collaborate and support the implementation of the Nairobi Pact and the Framework of Hope, the ICGLR should create a CSO fund to enable member states to support CSO activities relating to sustainable peace and development in the region. Some CSOs deplored the fact that only a few of them were aware of the ICGLR’s existence before the advent of the GLP, and consequently knew very little about the ICGLR’s mechanisms, tools and instruments to bring about peace, stability and development in the region. While recognising that the ICGLR has become more visible recently, CSOs maintain that a lot more needs to be done to improve their access to ICGLR information. They suggested an annual meeting between the ICGLR executive secretary and CSO representatives, through the ICGLR regional centres in Goma and Lusaka, to reflect on results of their collaboration prior to each summit and council. Sharing regular information on all CSO and ICGLR activities was considered important. This would be done through the establishment of an ICGLR public relations group to inform CSOs. The group would make sure that all minutes, reports, mission reports and other ICGLR information was available to the public. CSOs in the region have expressed the desire to increase the level of their inputs to conflict prevention, conflict management and peacebuilding. 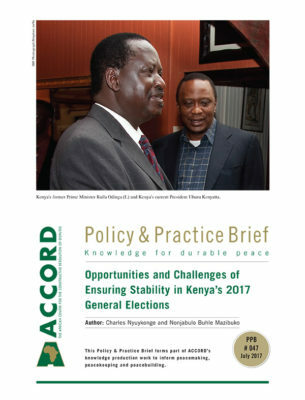 Hence, they propose (1) identifying and appointing a CSO focal point, working with each ICGLR thematic programme or intervention area and in each decentralised organ to ensure CSOs’ contribution to the implementation of the pact; (2) sharing all plans of action related to the Nairobi Pact and the peace, security and cooperation framework with CSOs, and identifying where their contribution is needed; (3) involving CSOs in preparing and carrying out ICGLR missions, making greater use of information collected by CSOs and holding regular meetings on ICGLR-CSO cooperation in conflict prevention and peacebuilding; (4) engaging in conflict prevention, crisis management and peacebuilding tasks, in particular through ‘non-official’ mediation and communal dialogue; and (5) engaging in monitoring and evaluation of the implementation of the pact at national and regional level. Through the RCSF at national level, CSOs would be able to monitor and assess the outcomes of the implementation of the Nairobi Pact. CSOs should have a chance to participate actively in ICGLR expert meetings and observe ministerial meetings and summits of Heads of State and Government. the ICGLR, through its institutions and organs, should notify CSOs in a timely manner on the dates of future meetings, together with an indication, where possible, of the subjects to be addressed. Participating states should implement their commitments relating to the involvement of CSOs in ICGLR activities, including the establishment of national civil society fora in countries where they are not yet established, through cooperation between ICGLR national coordination mechanisms and the RCSF, and establishing two-way communication built on mutual interests and potentially shared objectives to ensure a regular exchange of views and the involvement of CSOs in drafting, implementing and monitoring/evaluating motions, pacts, protocols, programmes and projects. Once a year, the fora and the executive secretary, through the ICGLR’s national coordination mechanism, should organise a meeting with CSOs for the broad exchange of information. 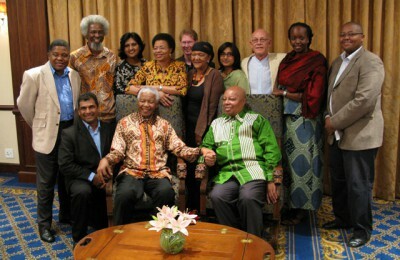 The ICGLR should actively involve CSO experts on specific issues in the run-up to major meetings and policy processes. When on official trips and missions, ICGLR officials and officers should meet CSOs representing the RCSF at a local level as well as other CSOs, to present information on ICGLR activities and explore CSOs’ support. The ICGLR executive secretary may invite the RCSF chairman and experts from CSOs with the required expertise to address ad hoc informal and formal meetings held under the framework of security, stability and development in the Great Lakes region. The Secretary-General should appoint a CSO liaison person with the ICGLR Secretariat at the head office, to serve as the point of contact with the Bujumbura, Lusaka, Goma and Kampala bodies and other ICGLR institutions. CSOs should channel their written contributions, petitions and communications to the ICGLR secretariat through the RCSF, so as to strengthen their mutual engagement and to strengthen the ICGLR as a functional structure. The ICGLR executive secretary, through the head of programmes, should invite CSOs with the required expertise to contribute to the review of the implementation of ICGLR commitments, especially the Framework of Hope and the Nairobi Pact. Together with the RCSF, the ICGLR Secretariat should organise regular consultative meetings with interested CSOs that are active in conflict prevention and peacebuilding, to discuss further possibilities for cooperation. This could be organised along the yearly planning sessions of each ICGLR programme. CSOs should also involve the ICGLR head of programmes in their annual planning, to explore the possibility of developing joint action plans. Through their national ICGLR coordinator, ICGLR missions in member states should be encouraged to seek and maintain regular contact with the relevant CSOs active in the country or region concerned. The ICGLR should actively encourage and facilitate the participation of CSOs operating in the region in ICGLR regional meetings and seminars. The ICGLR should provide financial and technical support to strengthen the structures of the RCSF, to ensure CSO representation from national to regional level. A common and joint action plan should be developed between the ICGLR and RCSF to implement the Nairobi Pact and the Framework of Hope. The ICGLR should ensure coherence between the various fora by aligning existing fora structures and secretariats, and have regular (half-yearly) meetings on strategic and programmatic issues between the fora and the ICGLR structures. The ICGLR should include CSO representatives in the database of the fora and observatory department, to use their expertise in election and monitoring missions. Burundi, Central African Republic, Democratic Republic of the Congo (DRC), South Sudan, Angola, Kenya, Republic of Congo, Rwanda, Sudan, Uganda, Tanzania and Zambia. Church, W. and Jowell, M. 2007. 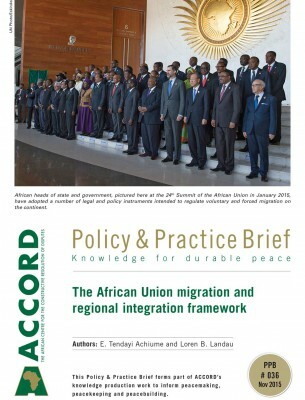 ‘Conflict circuit breakers in the Great Lakes Region of Africa’, African Security Review, (16) 1. When the ICGLR was created, there were 11 member states. 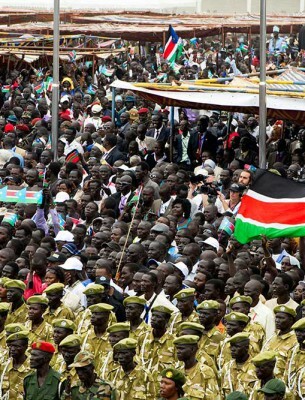 The number of member states increased to 12 when Sudan split into two countries – South Sudan became the 12th member state. Prunier, G. 2009. From genocide to continental war: The ‘Congolese’ conflict and the crisis of contemporary Africa. London, Hurst, p. 333. 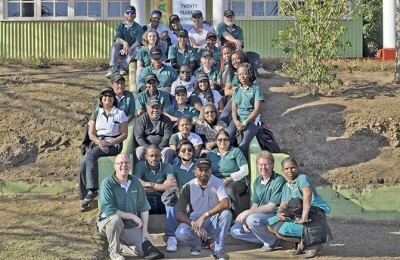 The Great Lakes Project (GLP) is a collaborative conflict transformation effort by the African Centre for the Constructive Resolution of Disputes (ACCORD), the Nairobi Peace Initiative – Africa (NPI-A) and the Global Partnership for the Prevention of Armed Conflicts (GPPAC). 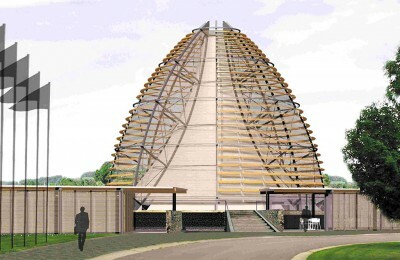 Khadiagala, G. 2006. Security dynamics in Africa’s Great Lakes region. Boulder, Lynne Rienner, pp. 187–197. Woodrow, W. 2008. 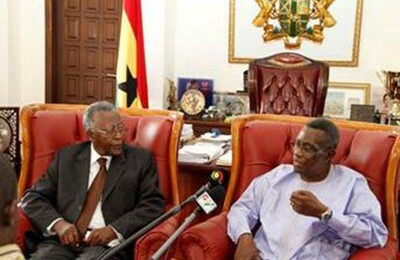 African regional and sub-regional organizations to cut Hunger and Poverty in Africa. 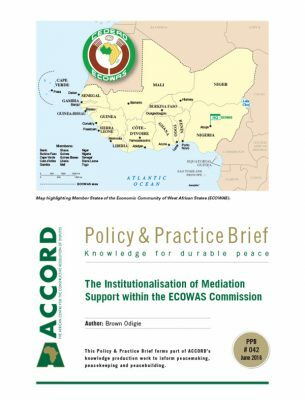 African Regional and Sub-regional Organizations: Assessing their contributions to economic integration and conflict management. 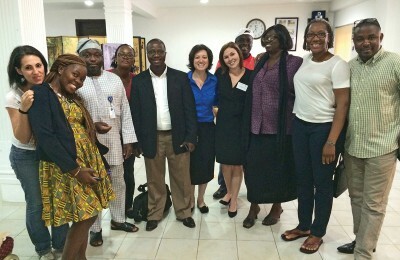 African Program International Center for Scholars, pp. 23–26. ICGLR. 2004. Dar-es-Salaam Declaration on Peace, Security, Democracy and Development in the Great Lakes Region, adopted at the First Summit of Heads of State and Government, held in Dar-es-Salaam, Tanzania, on 19–20 November 2004, article 14. 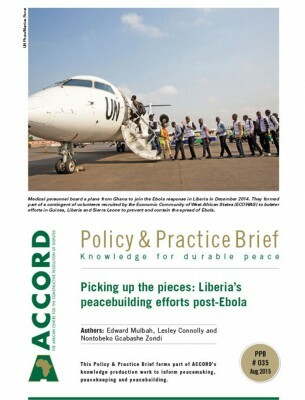 Available from: <http://reliefweb.int/node/411133/pdf> [Accessed 21 May 2015]. ICGLR. 2006. Pact on Security, Stability and Development in the Great Lakes Region (Nairobi Peace Pact), adopted in Nairobi, Kenya, on 15 and 16 December 2006. 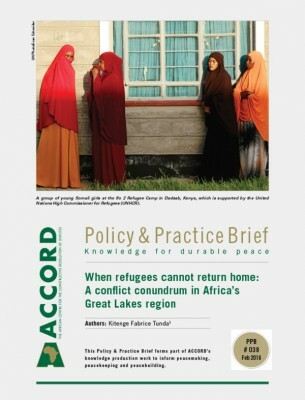 Available from: <http://www.internal-displacement.org/…/Great%20Lakes%20pact_en.pdf> [Accessed 21 May 2015]. 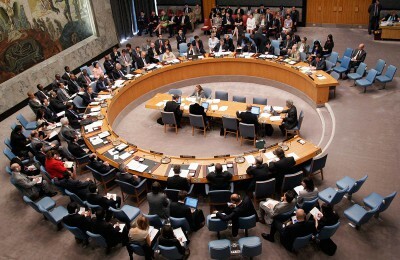 African Union Peace and Security Council. 2013. 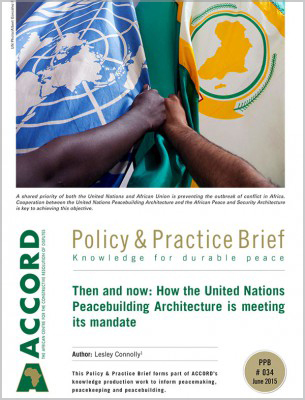 Peace, Security and Cooperation Framework for the Democratic Republic of the Congo and the Region, done at Addis Ababa, February 24, 2013. 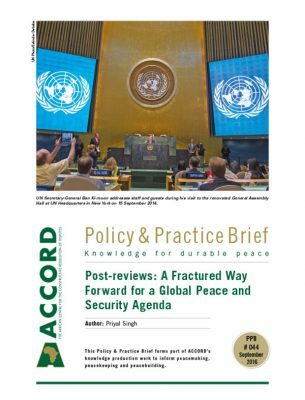 Available from: <http://www.peaceau.org/uploads/scanned-on-24022013125543.pdf> [Accessed 14 May 2015]. Pouligny, B. 2005. 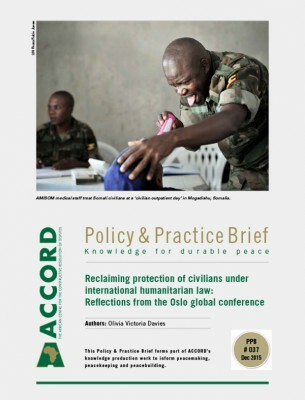 ‘Civil society and post-conflict peacebuilding: Ambiguities of international programmes aimed at building “new” societies’, Security Dialogue, 36 (4), pp. 495–510.